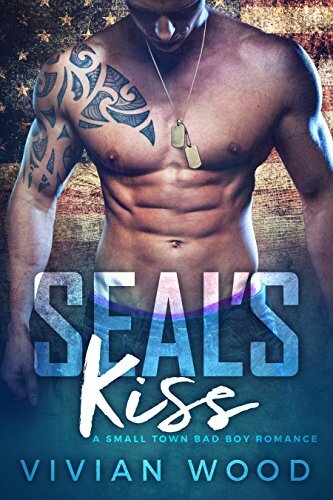 Colt Roman is a hardened ex-SEAL. He may be missing his lower leg, but that doesn’t keep him from bedding any woman who looks his way. During the day he’s the good, upstanding son, running the family ranch. But at night, screams of “Colt!” practically echo through town. His latest target? Rose Elliot, the gorgeous new-in-town veterinarian, the girl with the shy smile, the knockout body, and the shadow of something dark in those big blue eyes. He’s had a thousand girls like her, and it should be easy to have one incredible night and move on -- but he can’t. Not from her. Because Rose has a secret, tragic past - a past that’s chased her for years and a past that’s catching up. Demons resurface as things heat up between Colt and Rose -- a dangerous heat grows between them that threatens to engulf them both. Can Colt handle Rose’s dark past? Or will she become just another notch in his belt?